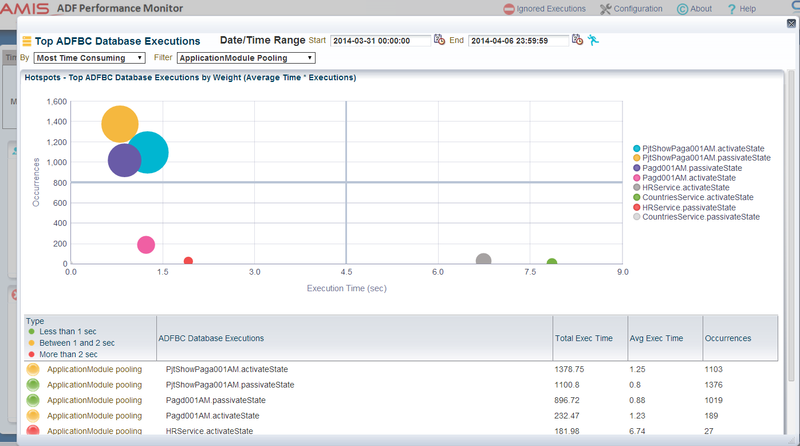 In this way you can monitor which ApplicationModules are activated/passivated, their activation/passivation time, when and how often it is executed. 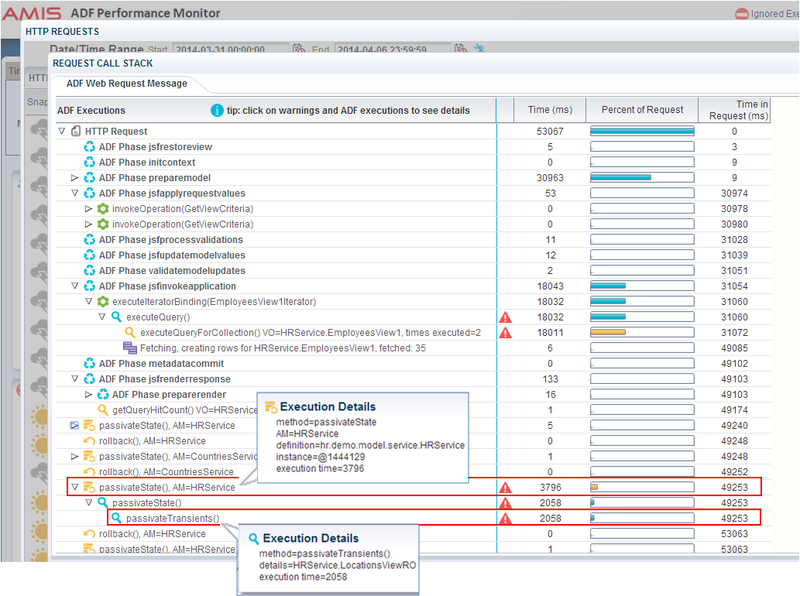 The ADF Performance Monitor uses (amongst others) the extension points and methods described in this blog (and part one) to measure and record performance. 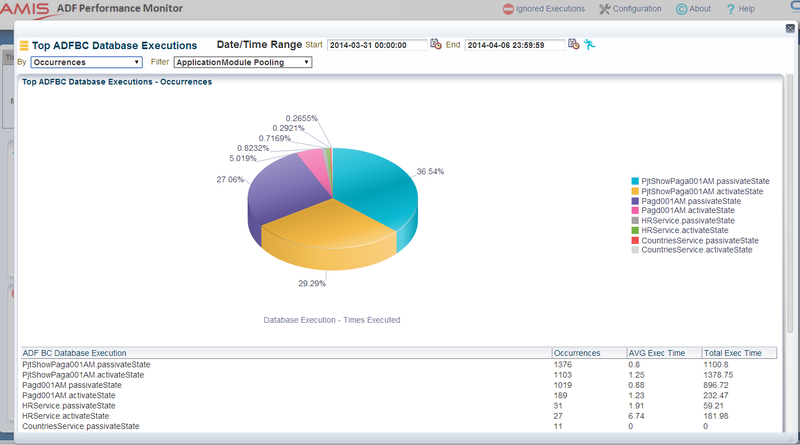 It collects not only execution time but many additional metrics like ApplicationModule definition name, usage name, instance id, for which ViewObject data are being activated/passivated during an activation/passivation, e.g. . For every HTTP request a so called 'ADF call stack' is printed. 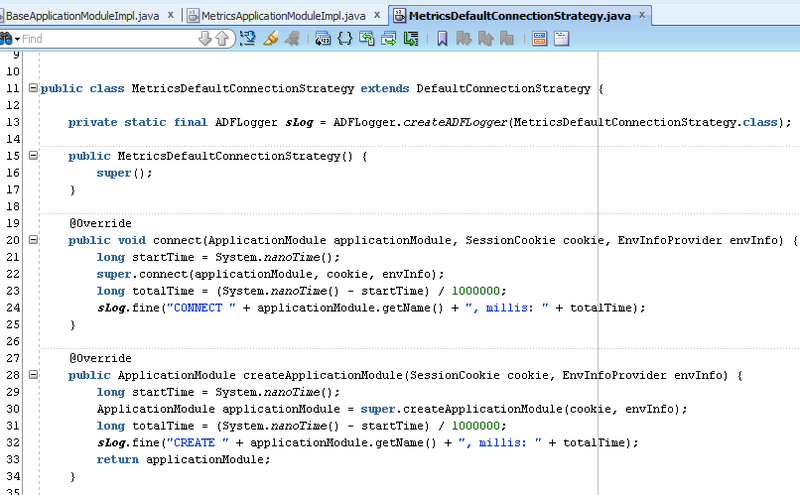 These are the methods that we have overridden in our metrics class and other extension points in the ADF framework. 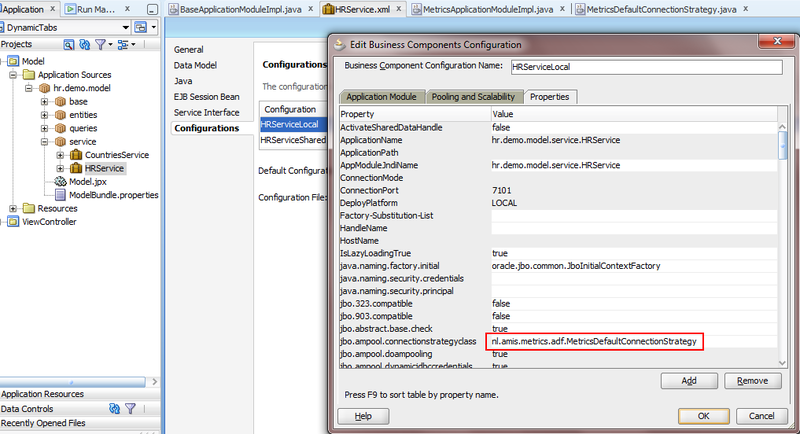 The runtime diagnostics are available in JDeveloper and in a test/production environment. 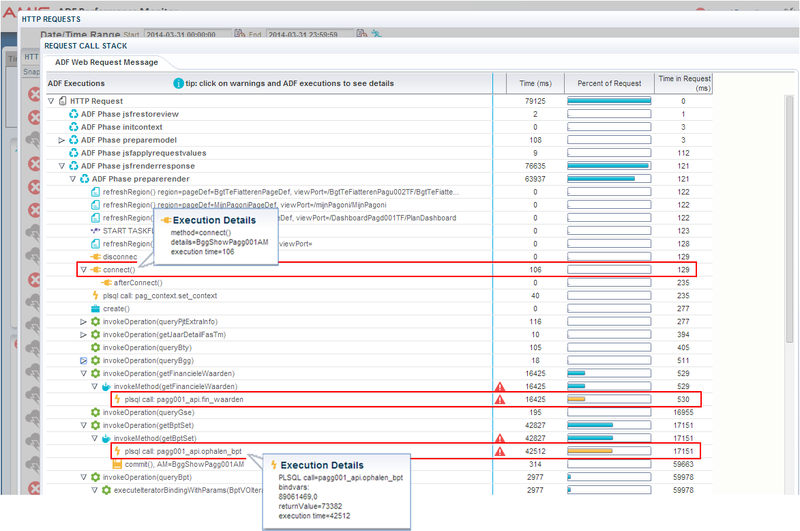 As we can see, the slow activation is caused by activating the transient ViewObject attributes of HRService.LocationsViewRO in activateTransients(). We can see the value of instrumenting our ADF application and monitoring - now we can do something about the slow activation. 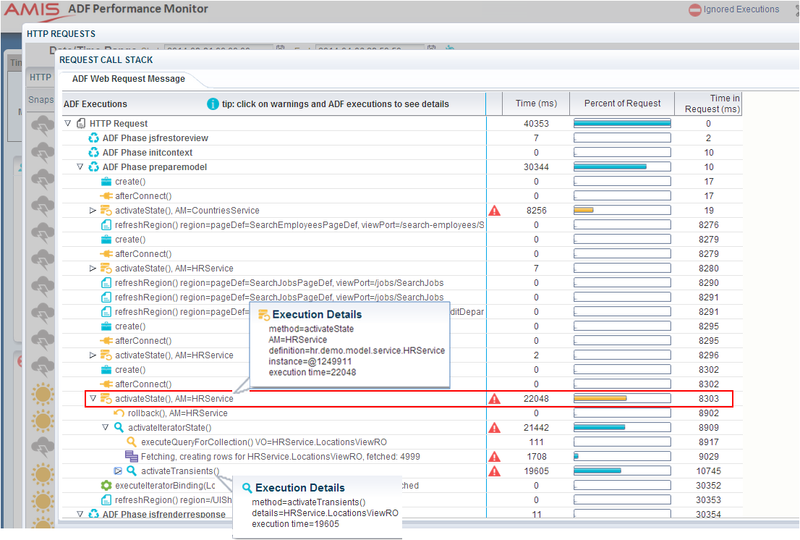 For example to uncheck the 'Passivate State - Including All Transient Values' checkbox at the ViewObject tuning section for HRService.LocationsViewRO. We can see that PjtShowPaga001AM.passivateState, PjtShowPaga001AM.activateState and Pagd001AM.passivateState are executed very frequently. If we don't want this behavior, we can adjust the pooling parameter settings.